Playing the lottery is, without a doubt, one of the riskiest investments there is. 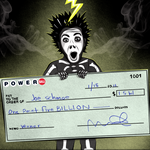 Statistically, you’re more likely to get struck by lightning than win a huge jackpot. However, it doesn’t put many people off and there are lottery games all over the world that rake in billions of dollars of revenue every single year. However, what if there was a way that you could play and know that every single time you bought a ticket, you’d win the jackpot. Would you do it? The next story is utterly remarkable in that someone did find a way to win…and did…fourteen times. It wasn’t down to luck, he just worked out how to game the lottery. This is the truly breath-taking life of Stefan Mandel and the crazy story of the fourteen-time lottery winner. Mandel, who hails from Romania originally is a mathematician and investment whizz. He was born and brought up during the communist era. Most of the people in his home country were dirt poor. The only way to make money was to think laterally or even work illegally. However, just as in many other countries there was a lottery game that could be played and it was then that Mandel had an idea to try and get rich. Over the next five decades he began to work his magic and from the 1960s through to the turn of the 21st century, his luck rarely waned. He was working as an economist for a Romanian mining consortium and he began to wonder if it would be possible to legally make his odds of winning the lottery greater. Thinking long and hard about it, he came up with a mathematical formula that he thought might enable him to up his chances of winning to nearly one hundred percent. He knew that the only way to increase your chances of winning is by buying more than one lottery ticket. But not just one or two, or even a hundred – he was thinking about buying thousands – sometimes millions of tickets, in the hope of getting the winning one. Then…he started getting others in on the act. This was Mandel’s first time trying out his technique, and he was nervous. It had taken him four years to come up with the idea that might or might not work. He’d put a lot of his own cash into merely trying to win a second-round prize in the lottery played in Romania. 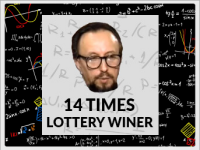 He just wanted to hit five numbers, and…with his first attempt trying out his formula he won. After this win, he decided to emigrate to Israel. That wasn’t the end of his lottery tale, by a long shot. He wanted to try his luck with the lottery of that country too. So, he replicated his winning algorithm there, buying stacks of lottery cards and playing repeatedly. To his surprise, his formula plus the large amounts of cards he bought equaled another big win! After some time, and now very rich, Mandel managed to get himself and his family a visa and move them to Australia. At this time, the country was still relatively cheap to live in and he decided to try and seek Australian citizenship. Doing this meant that he’d be able to do business in the British Commonwealth countries, as Australia was a part of the British Commonwealth at that time. What did this do? It also gave him access to the UK Lottery, and with it, a lot more money! He decided to try and legitimately get a lottery business off the ground. He had to get hold of tons of slips of paper, and a cartel of laser printers to print off tickets. He then sought out the heads of the Australian lottery and say that he wanted to buy all of the numbers, which he did. He then sat back, waited, and won, distributing the winnings to anyone who’d help him invest. 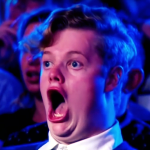 In total, he won the Australian lottery twelve times, with an army of people who were filling out and submitting tickets to various convenience stores around Australia. These folks would get the receipts and put them into storage. When the inevitable winning ticket was called his team would get the receipt and company would get the winnings. Here’s the rub – it sounds shady, but actually, none of what he was doing was illegal at all. There were no rules to say that one single person couldn’t buy every single lottery ticket available. But, inevitably Australia caught onto this and they did decide to make this practice illegal. It didn’t faze Mandel. He got five partners and created a lotto firm to carry on for a while. However, Australian lotto laws cottoned on to this too and eventually made it too tough for him to operate there. There were no laws to stipulate how many tickets you could or couldn’t buy and the Virginia lottery had a very important advantage over other state lotteries. Buyers could print out their paper ticket at home and then go in and submit it to the convenience store. This enabled Mandel and his team to print out all 7.1 million tickets in Sydney! Mandel paid the ridiculous sum of $60,000 to have all of the tickets shipped across the world to Virginia. Using cashier’s checks from a bank in the United States, Mandel paid people to go to the owners of large convenience store chains to buy up huge blocks of tickets. To get around the issue of paying for the tickets, Stefan and his team used cashier’s checks. They went directly to the owners of the various chain stores and bought up all of the tickets the stores had. The Virginia Lottery works on a draw every three days. So, to get his system up and running he realized he needed a huge army of people at various convenience stores around the state, who would buy tickets and get receipts. His team needed to work fast, and together, in order to try and win as big as they could. But, he got lucky. Again. The winning numbers for the draw were called and yes, he’s got the right ones. He was the only one to have all the right numbers and he did not have to split the prize money at all, in this instance. He won $27 million along with lots of second and third prizes. He had come away with almost $30 million for his investors. The Commissioner of the Virginia Lottery, Kenneth W. Thorson was a bit suspicious when the whole lottery was won by the investment group. But after investigating the way that the group had operated, and realizing that no state laws had been broken, Thorson handed over the money. Where Is Stefan Mandel Today? 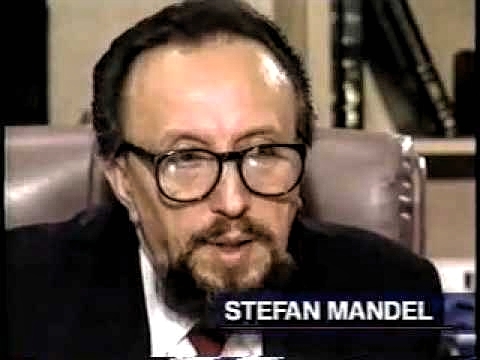 Stefan Mandel now lives in a beach house in the tropical island nation of Vanuatu located north of Australia. He is back in the country that he experienced his biggest number of successes after seeking refuge there. He is a permanent resident there after being arrested and imprisoned when he went back to Israel in 2004. He’d gone back to try and pull the same stunt as he did in Virginia. However, he was found out and put into jail on charges of fraud. This is an unusual story and one that some may feel mixed about. On the one hand, you have to applaud his audacity and his willingness to commit to a cause. He also gave money to other people. However, you also have to question the unfairness to other people, who may have been duped over the years or played lottery games to discover that they had no chance of winning. It’s a fascinating story whatever we all ultimately feel about the outcome! The 6 Biggest Lottery Winners among Women — It’s a Woman’s World! 4 Crazy Investments to Make If You Win Powerball. Boy, I Wish It Was Me!